Today I have a quick swatch of a delightful polish to share with you! One of the latest offerings from indie brand My Ten Friends is Space Party, a mix of purple, silver, and red glitters in a clear base. Each glitter color is represented in various sizes, making for a consistent and eye-catching finished look. The silver glitter also has a holographic finish to it, lending that extra bit of sparkle when your nails catch the light. The consistency of this polish was very easy to work with, and the glitter was good and dense. I had no trouble getting glitter out of the bottle and it applied evenly to my nails. Shown here is one coat over China Glaze That's Shore Bright. My Ten Friends has also recently switched from hexagonal bottles to these round ones with an adorable space alien on them! So what do you think? Wanna be my date to a space party? 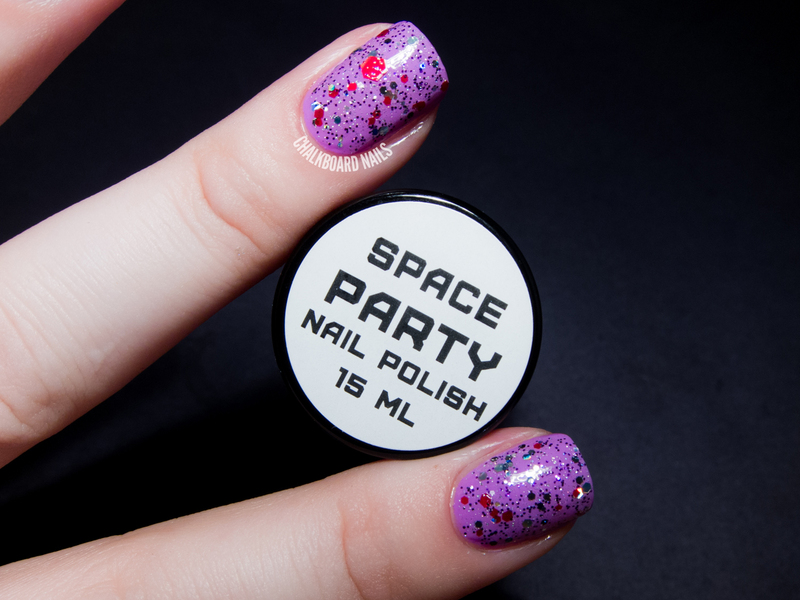 Space Party is being restocked on www.nailpolishtothestars.com on Friday, September 27th. 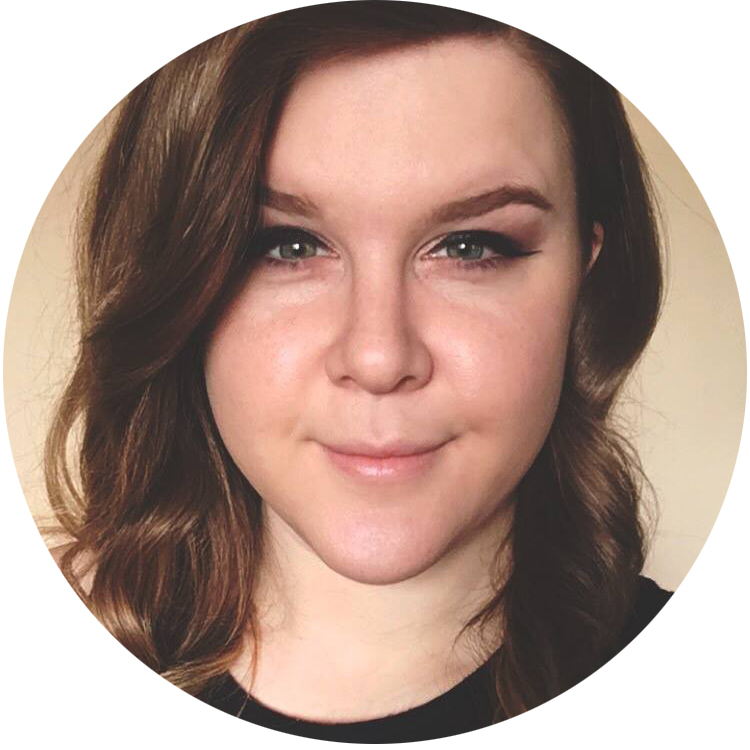 You can keep up with My Ten Friends via Facebook & Twitter for specific restock details! So cute! I love the nail polish logo.. their bottles are exactly like mine haha! This is really pretty! It's kind of unique too. This is so gorgeous! Very bold! So cute! I love the bottle too, it's adorable. I love the large red glitter ♥.